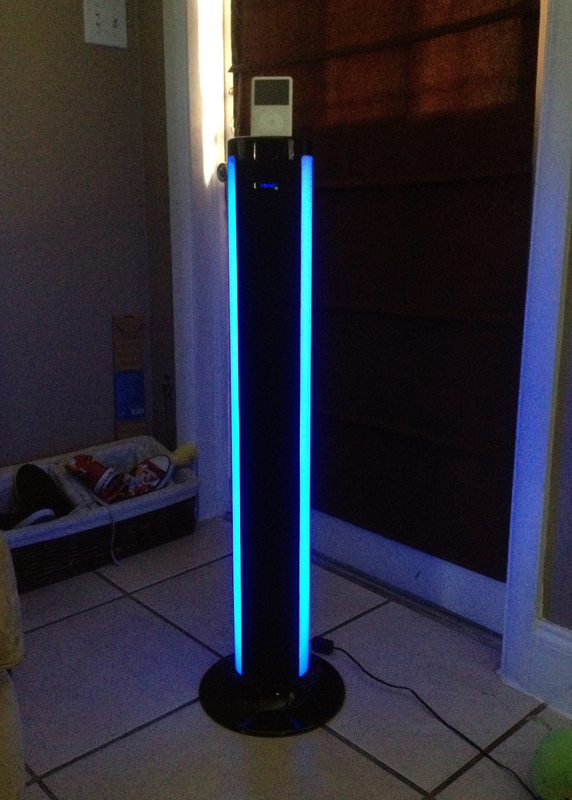 Being the Apple junkie that I am, I was really excited about my new iHome tower. Something that surprised me from the get-go was the weight and feel of the tower. 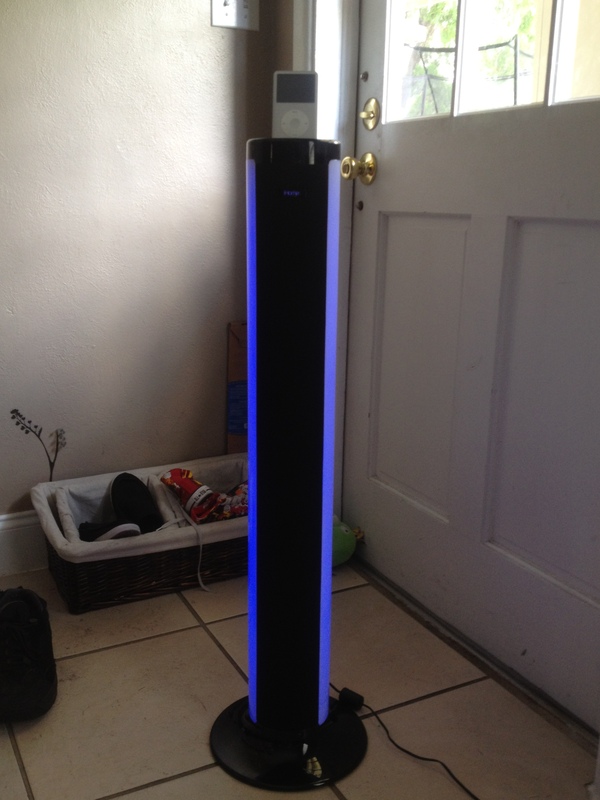 Physically, the device is light and easy to move around the house. I wouldn’t say the feel of it is cheap, but it’s not as “expensive feeling” as some other audio equipment I have handled in the past. I plugged in my iPod and started up one of my favorite playlists. The sound quality was pretty good. When it comes to the bass, I didn’t notice much. Since I don’t care for a lot of bass anyway, this doesn’t bother me at all. The device has several great features including auxiliary output. It’s also compatible with most iPod devices. This part helps me out a lot because I have an older iPod that I like to use sometimes. The biggest challenge I had was figuring out where to put it. Since it can also be used as an alarm clock, I settled on my bedroom. The room is dark enough when I wake up for the lights to look really neat in the morning. After we turned it on and the lights started to dance, my husband started to realize this thing had some possibilities, especially when Christmas rolls around. You have seven color choices (indigo, blue, green, white, red, orange, violet and yellow) and five different lighting modes to chose from. My favorite is a mix between solid blue and the slow fade. The lights are not that bright in a room with normal lighting. I placed it in my living room and the lights were not impressive unless I closed all my blinds and turned off the lights. Overall, the device performed great! I’m impressed with the sound quality and simplicity of its design. I’m disappointed that the lights are not brighter, but you only have so much you can work with I guess. If you are putting this in a bright room, don’t buy it for the light effects. You can purchase the iHome iP76 on Amazon or on the iHome website.